4 wheels moves your body…..iDSD Nano moves your soul! 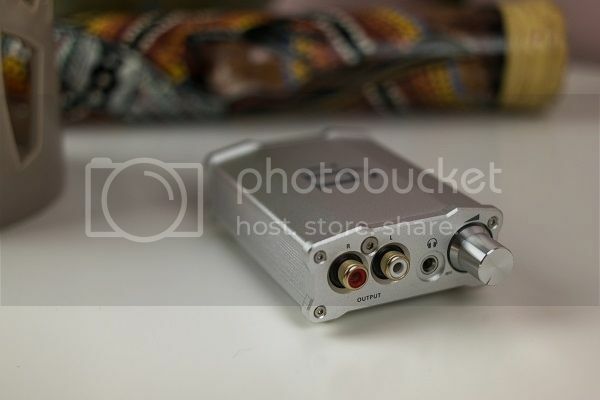 Thanks Passion for Sound & MaxMedia (iFi:Australia)! 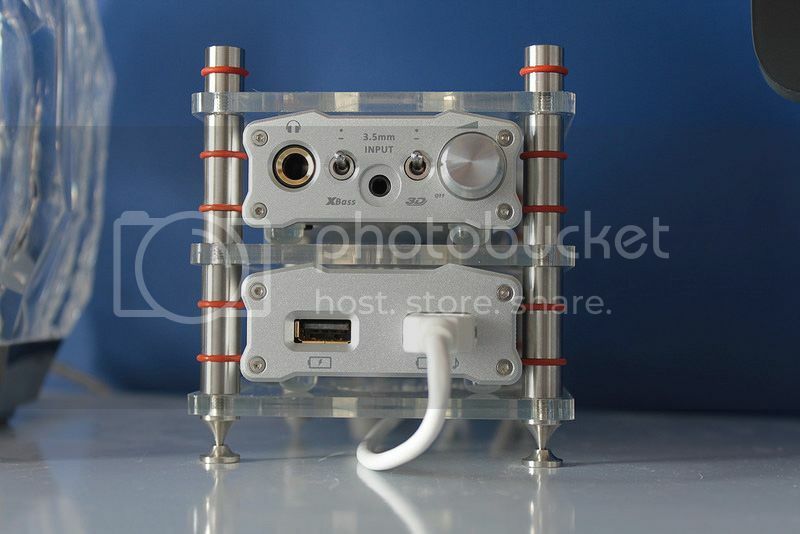 iCan Micro: Class A amp for a Class A guy! 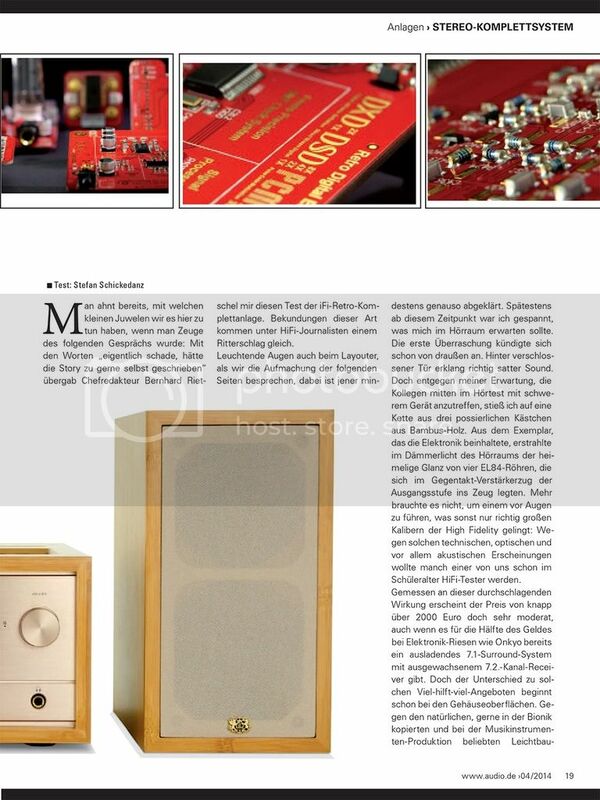 Germany’s prestigious AUDIO magazine rates Retro as Reference Class. 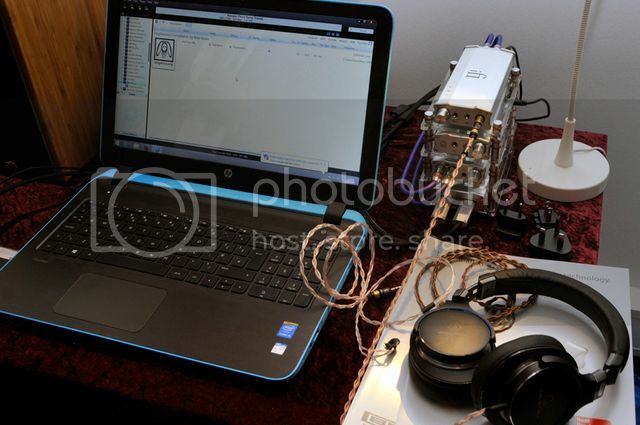 AUDIO test thoroughly and are one of the major authorities for comparative reviewing in Germany. 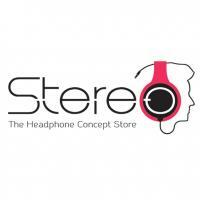 In the history of AUDIO, the Retro is the first ‘realistically priced component’ to ever be awarded ‘Reference Class’. Jeremy Clarkson got nuffin on this reviewer, Stefan Schickedanz. The following is a translation of the most salient aspects from the review. 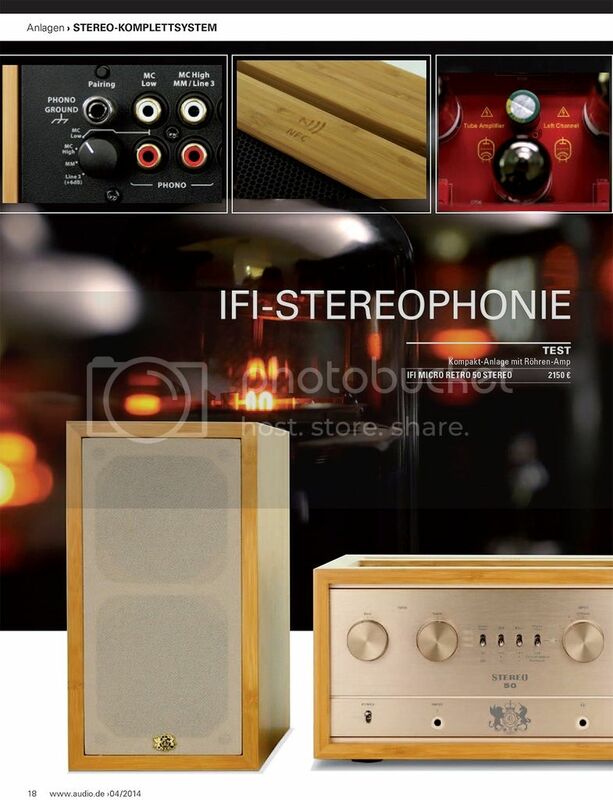 Not only for Hipsters: For looks, the charming system from iFi could have come straight from the middle of the last century, but it is packed chock full with technology of our current Millennium. We LOVE the ‘BBC Top Gear’ homage on page 3. 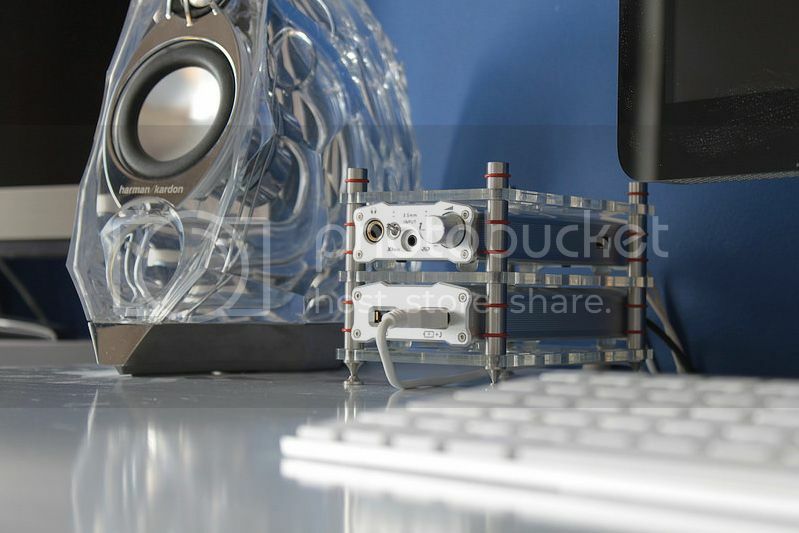 Damm, if audio journalism was on the whole as entertaining reading (said the iFi audio Stig). Their “Best of the Best” list uses a rigid and reliable point based system for assessing sound quality, with “Standard Class” assigned up to 30 Points, “Middle Class” up 60 Points, “Upper Class” up to 75 Points, “Peak Class” up to 90 points and “High End” up to 100 Points. Equipment must gain over 100 points to be considered “Reference Class”‘. The iFi Retro System joins the ranks of the reference class with 103 points, one of the least expensive complete systems possible at reference class level! 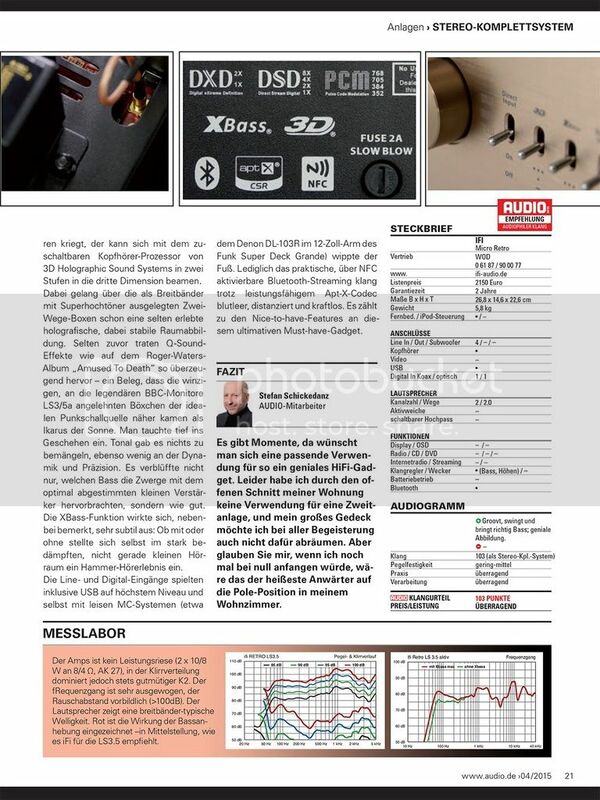 Reviewer Stefan Schickedanz declares the Retro System the “ultimate must-have gadget” and had a “Hammer Listening Experience” (as in very good) via all inputs, including MC Phono, Line and Digital. 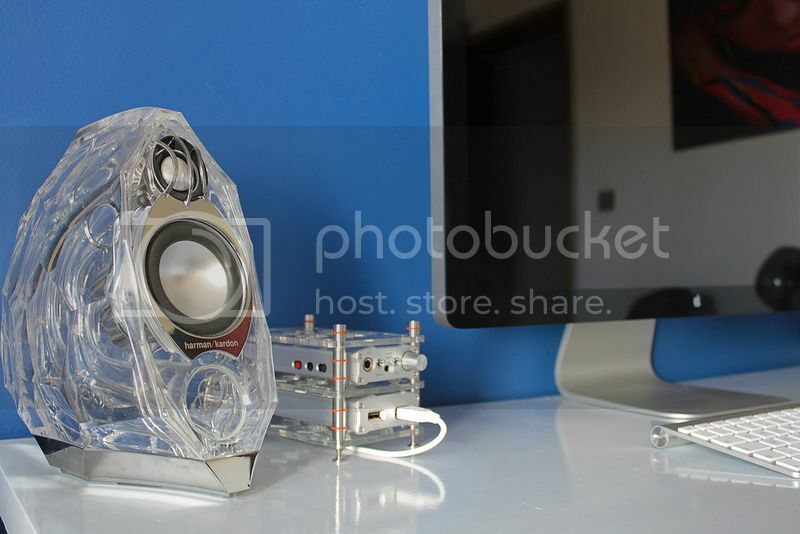 He found the matching LS-3.5 speakers to “Surprise with how much bass they bring forth” and “to give a “deeply immersing” experience of the music. Finally, while he will not (yet?) 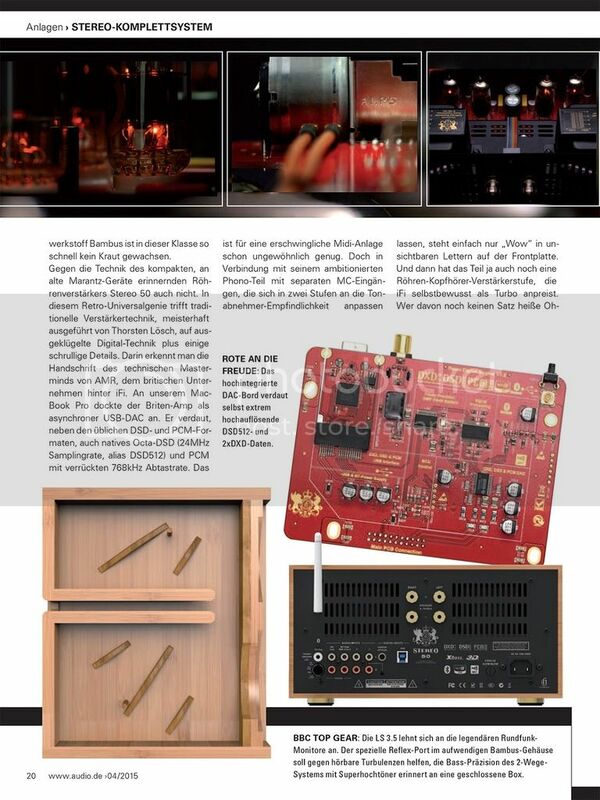 trade in his >> 100K US Reference System for the Retro System, he notes that if he was starting out from zero in High End Audio, “the Retro System would be the hottest candidate for pole position in his living room”. The overall conclusion states positives as “Grooves, Swings and brings real bass, genius sound staging” and notes no negatives. AUDIO’s Lab test noted the Signal/Noise ratio (a measure how much unwanted noise is added to the music) as exemplary. Danke sehr! AUDIO and Stefan Schickedanz! 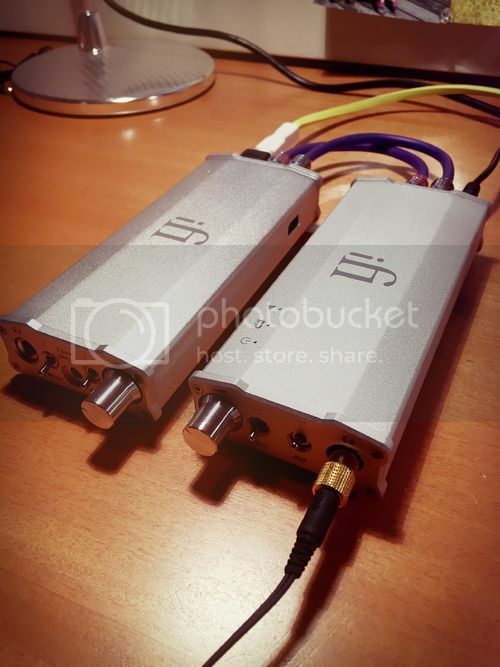 iFi Audio: ‘Compact and high-end sound’ says Asada Yosuke of Phileweb(Japan)! Thanks Asada Yosuke and Phileweb!